The Drug Safety eLearning Program provides the knowledge you need, from regulations and requirements through pre-market review and post-market monitoring. This online comprehensive program includes six self-paced modules that have been designed using the latest instructional strategies including microlearning and gamification to improve retention and make learning convenient for busy professionals. Each module is broken down in to bite-sized chunks of information that can typically be consumed in 5-10 minutes increments, preventing cognitive overload and improving learning outcomes. Learners have access to the eLearning modules 24 hours a day, 7 days a week for one full year, and are mobile compatible making it easy to learn on the go! Continuing education credits are available for all modules. 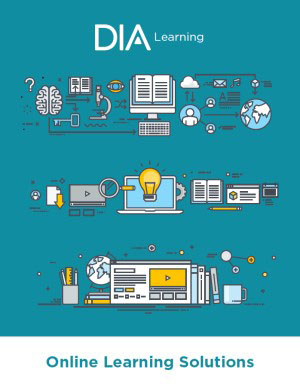 DIA and the Rutgers School of Health Professions Biopharma Educational Initiative (Rutgers-SHP-BEI) have partnered to offer academic credit to learners who successfully complete the DIA Drug Safety eLearning Program in conjunction with Rutgers Biopharma Educational Initiative companion course.